Morgan Rielly is a sophomore at Bowdoin College in Brunswick, Maine, majoring in Government and Legal Studies and Religion and minoring in Arabic. Neighborhood Heroes, his first book, was pubilshed during his senior year in high school. He is working on his next book project on teenage immigrants in Maine. As I interviewed the veterans, I made sure to follow Stephen Ambrose's advice: "Always let the men speak for themselves." That is probably the best advice anyone needs for documenting history; just let those who witnessed it speak about it. Many of these men and women had never shared their stories before. Imagine all of those burned down libraries, full of information, gone forever. Sadly, several veterans that I interviewed have since passed away. All of these veterans taught me something; not just about how to fight a war, but about how to live a life. They were never preachy; never full of themselves. Each of them knew that they had participated in something great and special, but none of them thought that they, themselves, were great or special. There was Fred Collins, the sixteen-year-old Marine who used his Boy Scout training to clip a wounded soldier's chest together using safety pins from machine gun bandoliers while under withering fire on Iwo Jima. Or Inez Louise Roney, who served as a gunnery instructor for the Marines, hoping she could end the war sooner and bring her brother home. Or Harold Lewis, who held onto hope despite being shot down out of the sky, nearly free-falling to his death, and spending four months behind enemy lines in Italy. Or Jean Marc Desjardins, whose near-death experiences defusing German bombs with his buddy, nicknamed Puddinghead, taught me the value of a good friend. Or Bernard Cheney, who, despite having seen the worst of war in Northern Africa, Italy and Europe, and despite having lost his wife and daughter, emphasized the importance of maintaining a positive attitude. "So, I enjoy every day," he said. "I can't wait to get up in the morning and can't wait to get in the bed....So, I think that is what makes you live longer and stay healthy." And, like most of the veterans I interviewed, Bernard Cheney was certain that the best was yet to come. "I see you young people and, you know, people say, oh, isn't this a hell of a world to bring kids in," he said. "I feel just the opposite. Just think of all the exciting things that is going to happen to them through their lifetime, especially if they live a long time anyway. You know, you think, boy, I hope they have as much interesting things happen as I did." 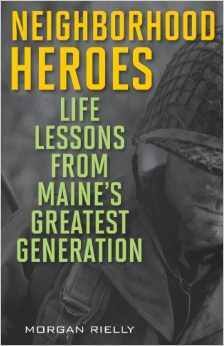 This book is certainly not a comprehensive history of Maine World War II veterans. It's my small effort, done between classes and soccer games and driving lessons, to save some libraries and to share the life lessons I've learned from some of Maine's greatest generation. I hope to save more libraries and I encourage everyone to listen to the stories of their own families, so that they can be saved and passed down. History is all around us, from the election of the first African-American President to the Arab Spring. The more we know and understand the past, the more we understand the present and how to deal with current problems, which allows us to look ahead and prepare for the future. I cherish what I have learned from these brave men and women. I hope you do to. This is one terrific book. 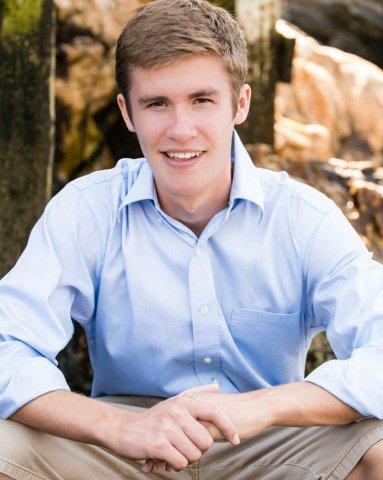 This high school senior is an extraordinary young man, with a real sense for a good story. . . .He read an old African Proverb, 'When an old man dies, a library burns to the ground.'. . . .But thanks to Morgan Rielly, Bernard Cheney's 'library,' like the libraries of the 24 other veterans whose astonishing and inspiring stories are told here, will never be lost. Outdoor writer, newspaper columnist honored with awards from the Maine Press Association, television show host, and former executive director of the Sportsman’s Alliance of Maine, the state’s largest sportsmen’s organization. Neighborhood Heroes: Life Lessons From Maine's Greatest Generation is among the most impressive works of [the World War II and Vietnam War era veteran] genre that I have had the good fortune to read. . . .Each statement is well worth reading, for each says much about American attitudinal history.